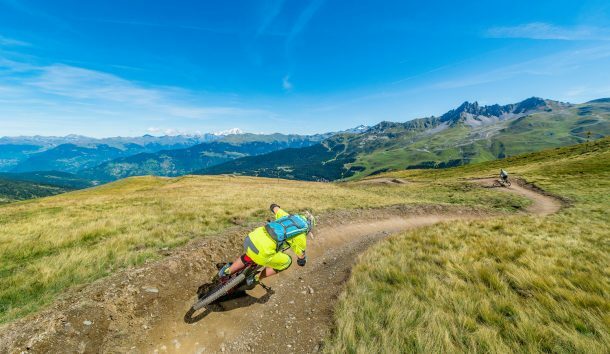 Construction of one of the longest green downhill trails in the world The Popeye trail in Val d'Isère sets the benchmark and is one of a kind! 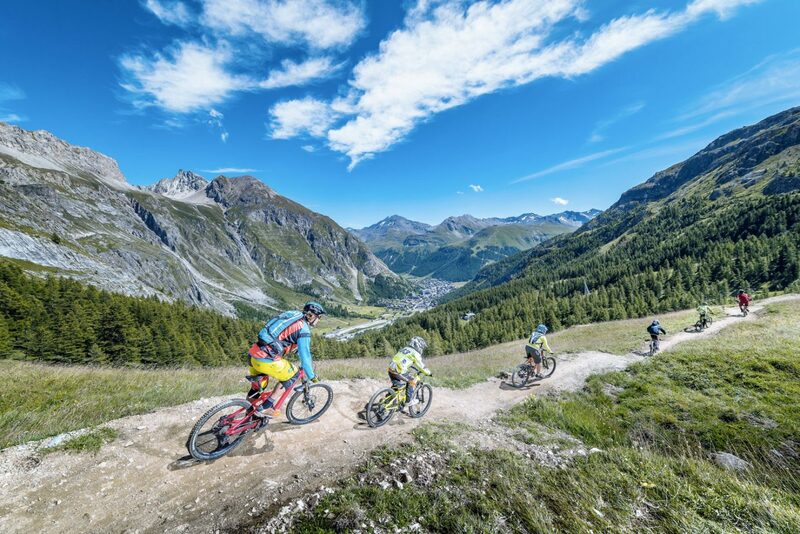 An unforgettable experience in the mountains for everyone that rides it. 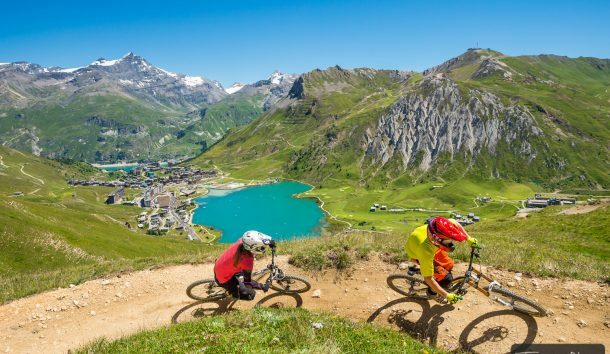 The Val d’Isere resort had no downhill trails designed for families and beginners. 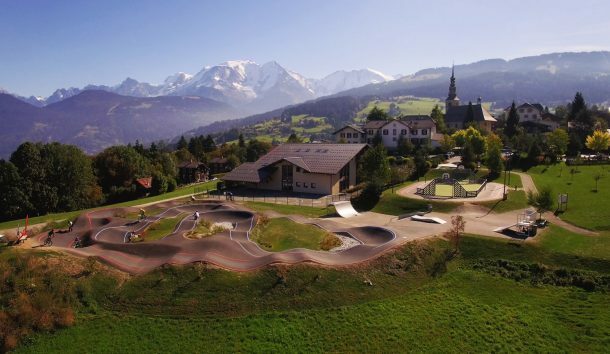 The aim was therefore to create a real green downhill trail that was top-of-the-range in terms of design and construction, sustainability and usability. 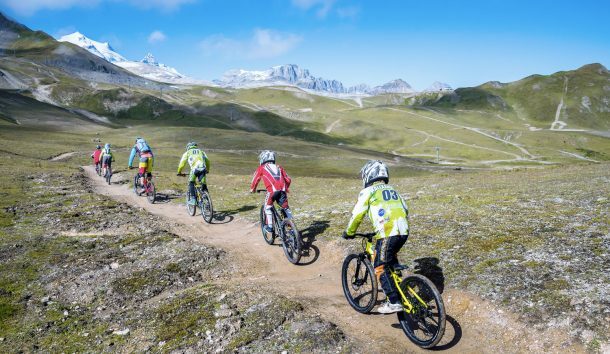 The challenge was to be able to create a trail with a gentle slope, no difficulties, and that could be ridden with children or cyclists with little experience of mountain biking. 13km: this trail is long but we created three rest areas along the route, letting you split the trail into four sections so you can take a break, enjoy the landscape, and share the experience even more as a family or between friends. Descending the “Popeye” peacefully, it takes 1.5 to 2 hours without breaks to join the Bellevarde summit at the foot of the village of Val d’Isere! 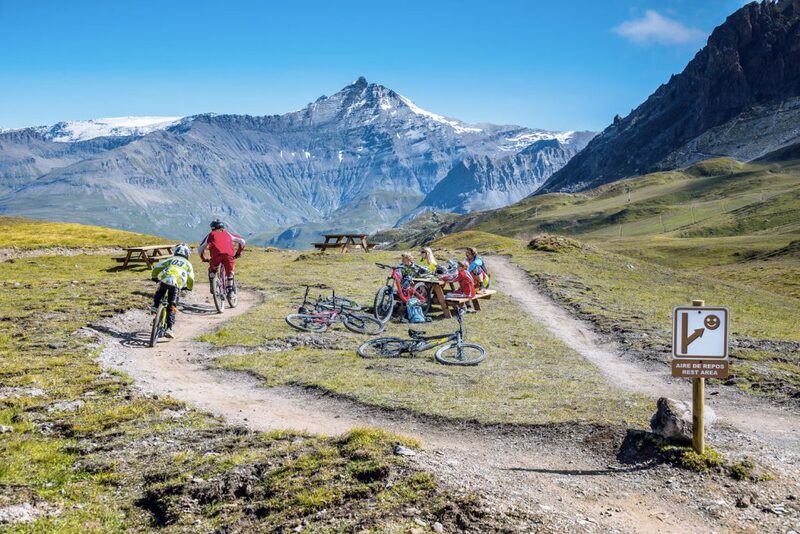 A real mountain ride in majestic surroundings and accessible to all! The icing on the cake, this trail has had no rescues in three seasons of use! This project was entrusted to us in addition to our annual task of developing/running the area linking Tignes/Val d’Isere. The challenge for this type of project is always to find the right compromise between accommodating the limitations of the terrain and the pleasure of riding. Here, the comfort of beginner mountain-bikers is at the heart of the project, from the design to the construction via signposting. Creating rest areas was essential because 13km of trails, even if easy, requires taking breaks. 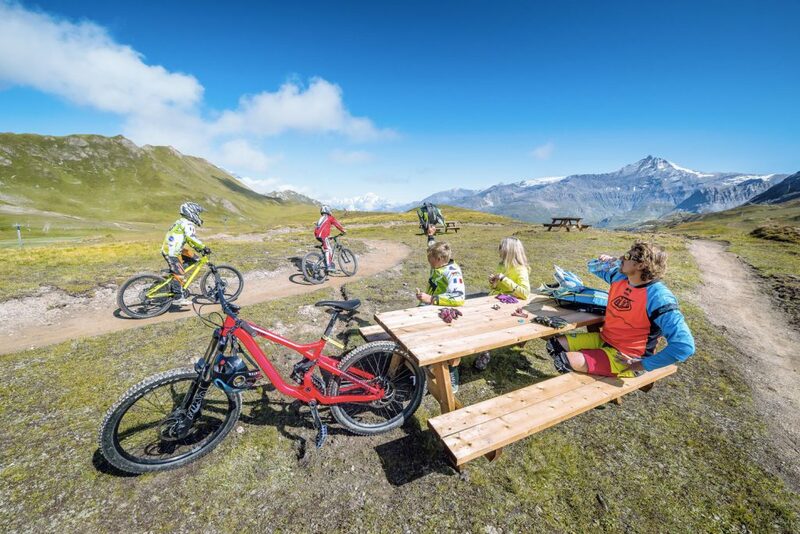 Taking your time to enjoy the landscape, picnics in a magnificent setting, there are so many aspects that make the sport attractive and help make mountain biking more popular. At BikeSolutions, we know! 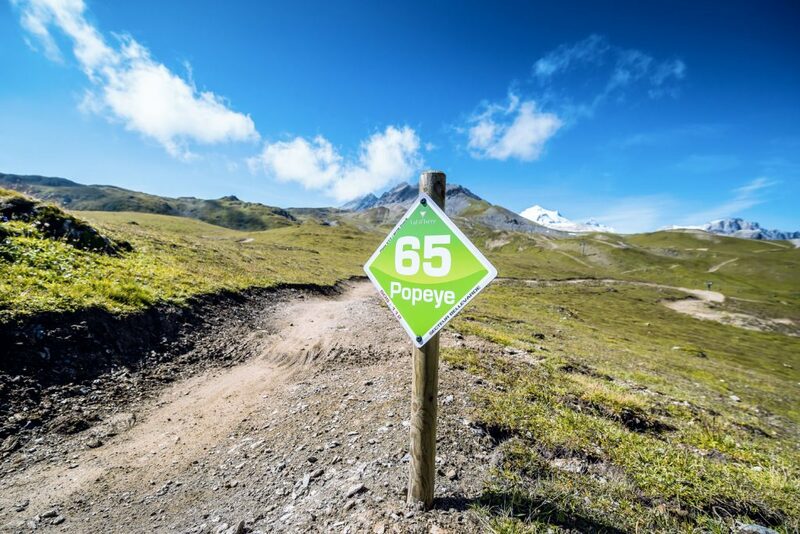 Do you know why this trail is called Popeye? Well no, it’s not because you need to eat a lot of spinach to get down it! In fact, it’s in reference to the French cult film Les bronzés font du ski (“French Fried Vacation 2”) which was filmed in Val d’Isere in 1979, in particular the character of “Popeye” or Robert Lespinasse played by Thierry Lhermitte.